Nice fit. It is very comfortable. Comfortable, very good padding inside ( as my previous was like a head full of padding). The chin strap, sits too far under chin. Love the matte finish. Used on a windy day, the ear flaps very thin ( almost not made for quality) quite a gap between helmet and face. Love the built in visor! Definitely a recommendation! 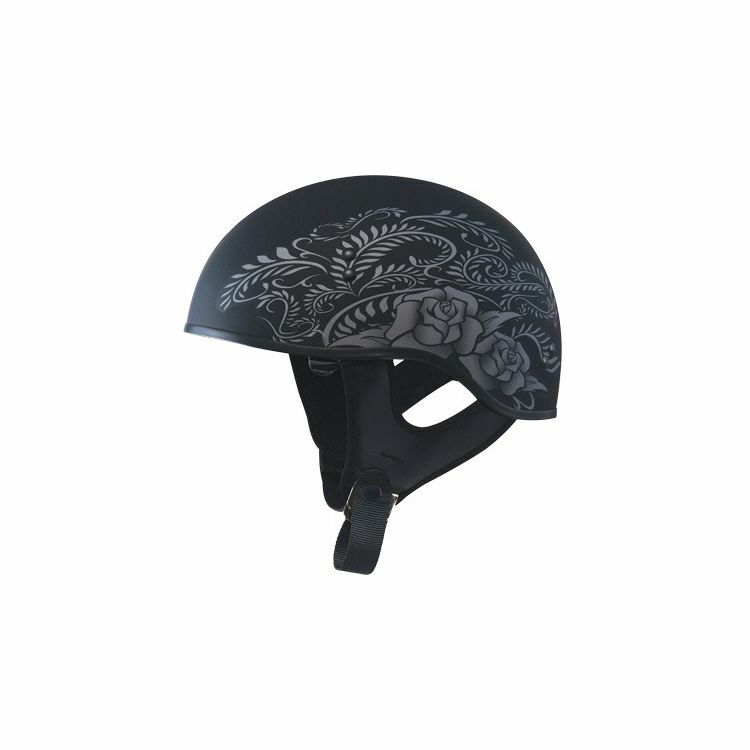 This helmet is nice and light with a good price for a half helmet. Features the visor which is nice in a bind. It is a bit cheaper made which you can tell but fair for the price. Fits nice, doesn't ride high. Wife likes it, great design too. Great accessories fits true to size looks cool. The only thing that is kind of useless is the removeable sun shield. However what I use it for is to cut down on wind at higher speeds. The ear covers are awesome and don't make the helmet too hot. The straps fit nicely and I don't have trouble with them cutting into my chin.